A range of robust Variable Area Flowmeters is available from Filton Process Control, providing a reliable and cost-effective means of flow measurement for most process gases and liquids.Models come in a variety of instrument lengths, process materials and connections. In addition to the air and water ranges, calibrated scales for other duties at specific process conditions can also be produced. 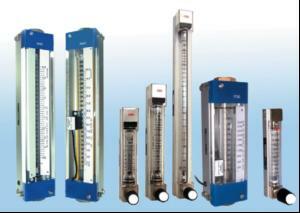 Standard features include flow elements which are frictionless, so head loss is kept to a minimum. All are designed for easy in-situ tube removal. The compact Series 630 and 1000 are designed for purge meter applications where space is at a premium, while the Series 1750 is designed for higher flow range requirements.